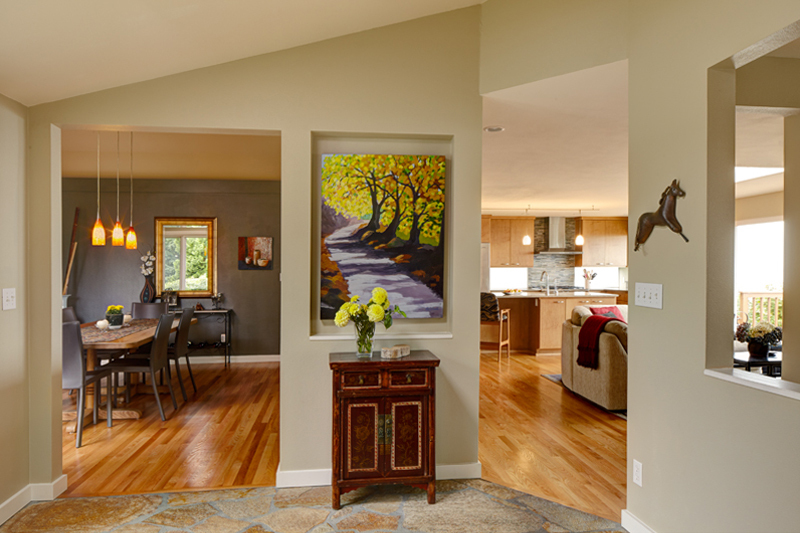 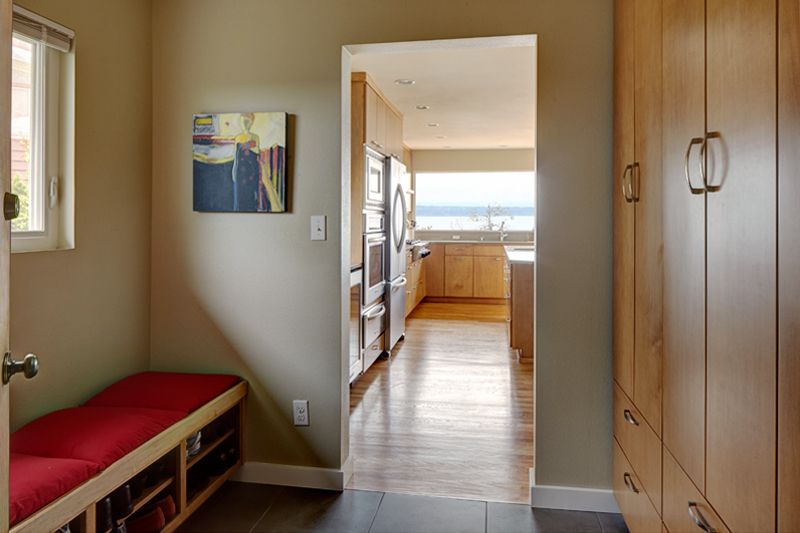 We remodeled the kitchen and living room, including a beautiful fireplace in this stunning Innis Arden home with gorgeous views of the Puget Sound. 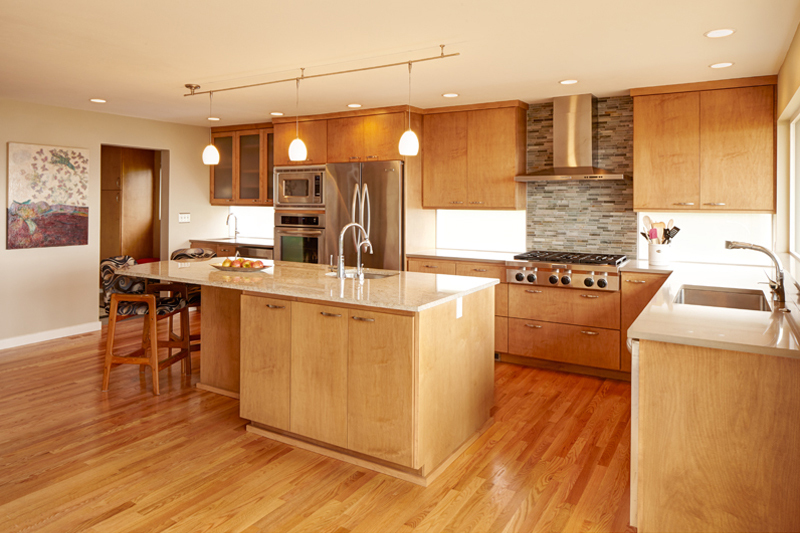 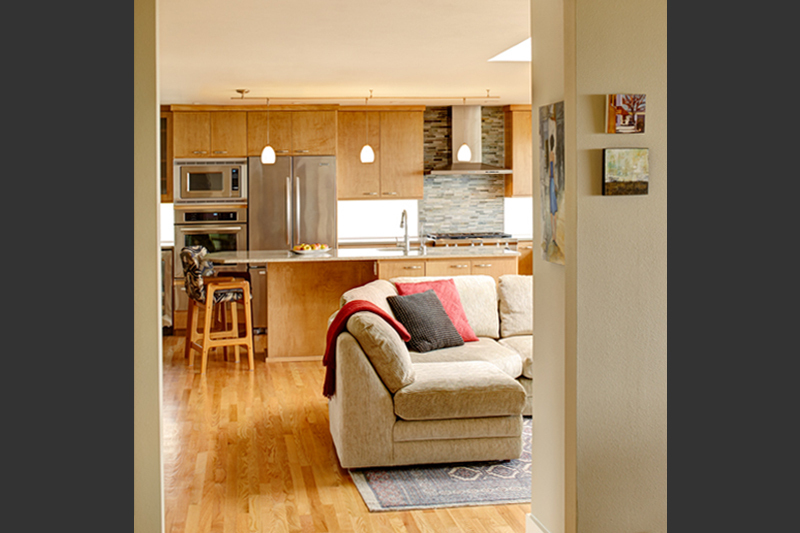 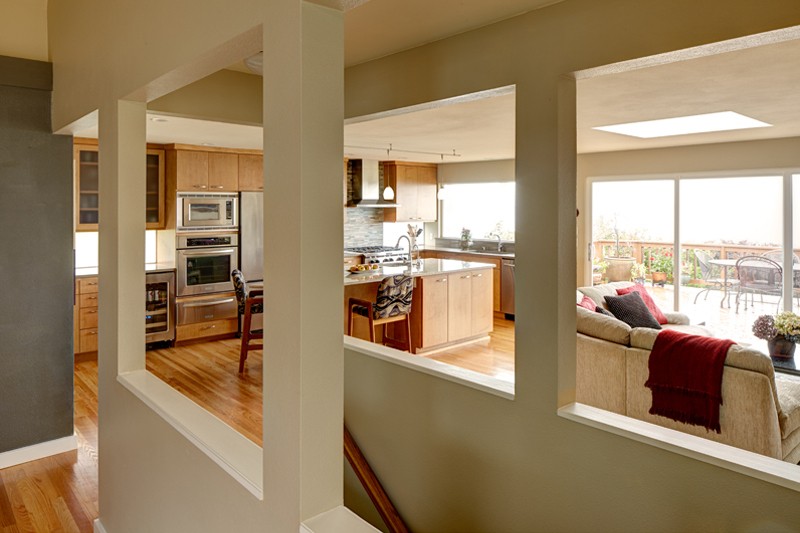 The complete kitchen remodel created an open flowing space into the living room by removing an old pantry and laundry room. 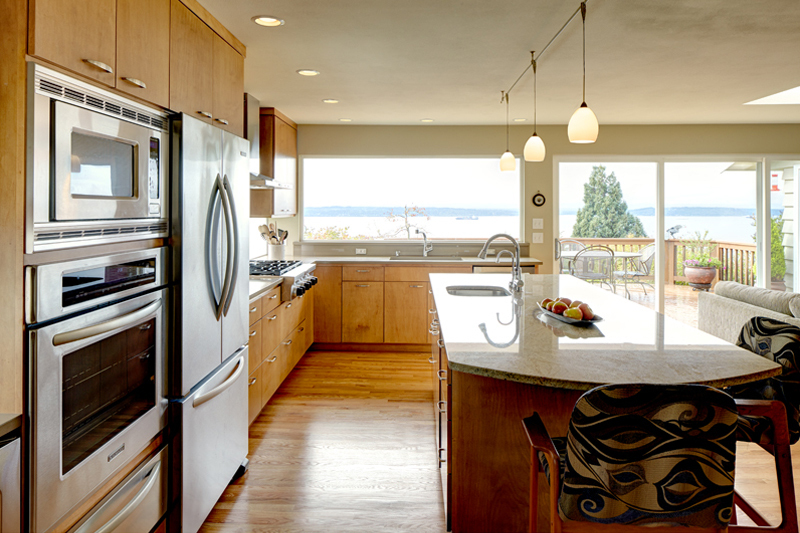 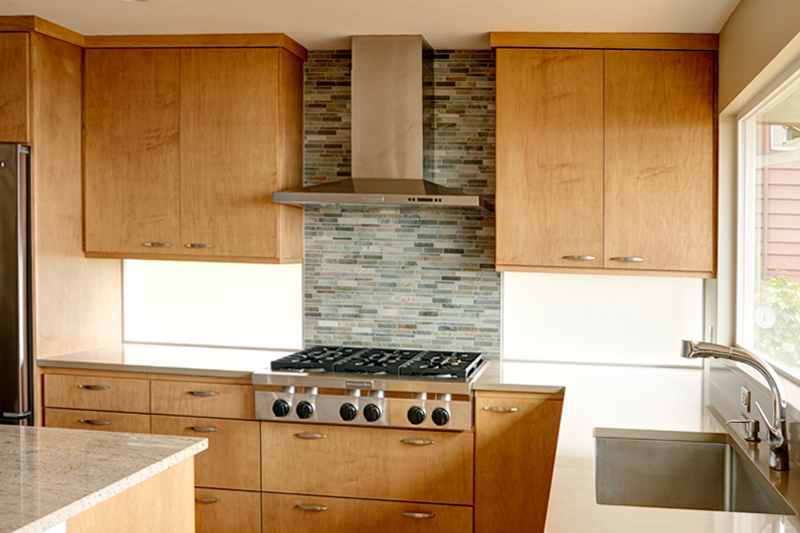 The new kitchen now includes three sinks and two ovens, with a striking and unique opaque glass window backsplash. 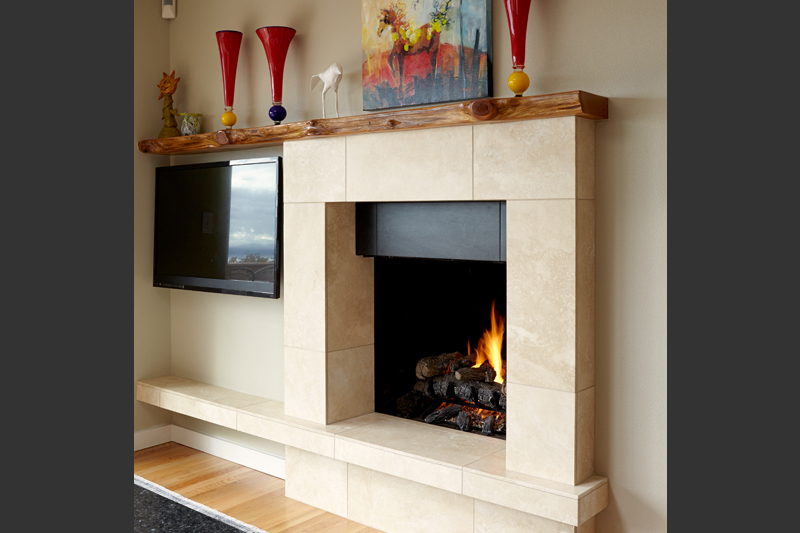 The new fireplace in the remodeled living room includes a mantel created with reclaimed wood which was refinished and suspended, mounted on edge, giving the mantel the appearance of floating over the fireplace.